But the question is: Is there a way to permanently remove the vocal track from multiplex songs? The asnswer is YES, let’s see how to do this. Install and open the program. 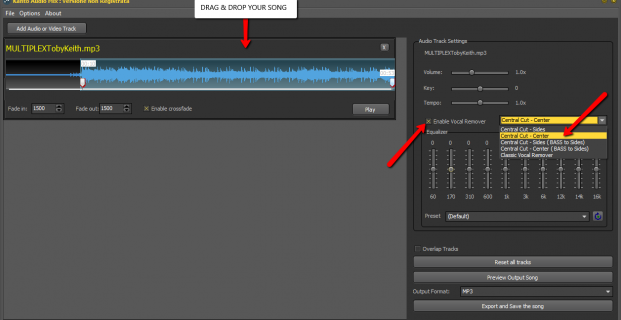 Drag and drop your song file in the main section of the program. Note: If you have a mp3+cdg file, you have to import only the mp3 file in the program. As you can see in the image, you can select/cut the part of the song (start and end point) you want to save and then check the “Enable Vocal Remover” box in the right sidebar. You have to select the option “Central Cut- CENTER” from the drop down menu. Now click the Play button below the audio track and you can hear a preview of the song without vocals. 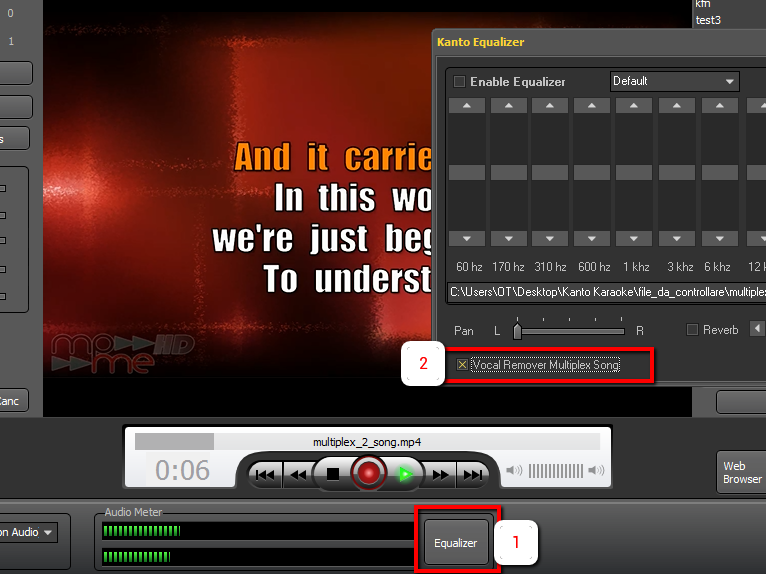 You can also edit the volume, key (pitch), tempo and equalizer and finally, when you are satisfied of the result, you can choose the output format and click to the button “Export and Save the song”. Note: With the free trial version you can try the program with all the features but the output file will contain a demo voice at the beginning and every 60 sec of the song. 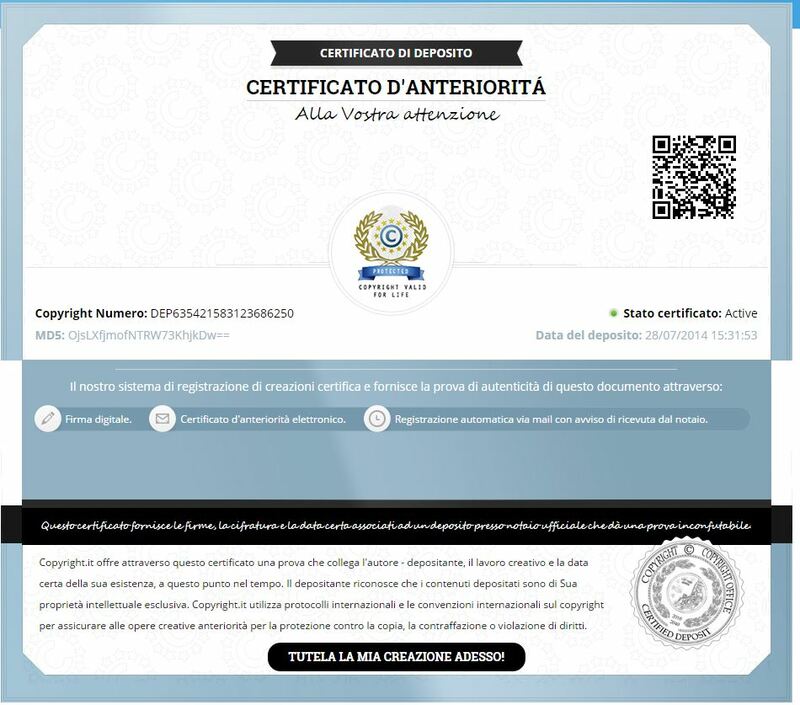 To purchase the license, go to purchase page. Kanto Audio Mix has many other interesting feature to edit, customize songs and create wonderful medley with fade-in/out and crossfade effects! More info here. Install and open the program. Play your multiplex song. 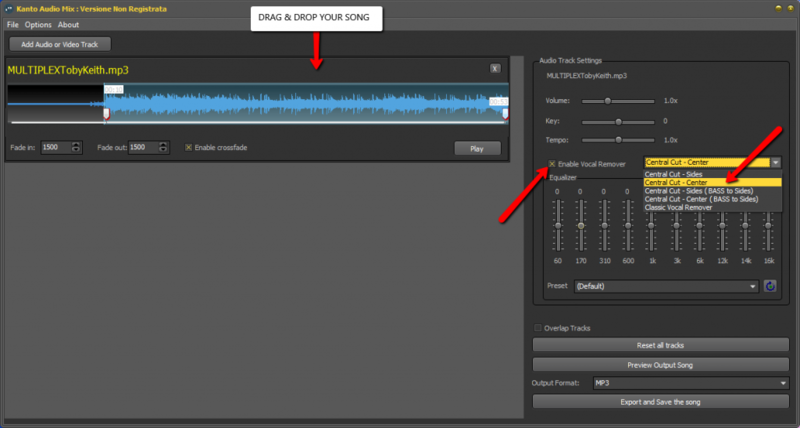 To do this click on Open File button or drag and drop the file from your computer to a playlist section and double click on the song name. Click on the button “EQUALIZER” in the bottom of the player. I have the ability to install lyrics to karaoke songs(thanks to you guys). Now I would like to have a program that can totally remove vocals from mp3s….do you have such a program?? and how much is it? It is impossible to totally remove vocals from mp3. You can reduce them only..